In the months leading up to the decision to open my aviation ad agency back on 2000, I was floundering at a dead-end job as Director of Marketing for a manufacturing company. I was going nowhere fast in my chosen career, and something big had to be done to jumpstart my professional world. I developed a plan, one that my wife (and agency business partner) Julie Celeste doesn’t even know about. I was going to pack up my truck, head east to Frederick, Maryland, and camp out in front of AOPA President Phil Boyer’s office door until he hired me. I didn’t care what job it would be for because I knew I had a great deal of talents and skills that AOPA could use. Couple that with my passion for aviation, and I just knew that with perseverance, I could go back there and convince Boyer and his team that they needed me. Instead, Julie and I decided to open our creative agency, and to that I have no regrets. We are as busy as can be, with new aviation clients coming on board every month. But last night in Portland for AOPA’s Pilot Town Meeting (PTM) with President Boyer, I couldn’t help but to feel a touch nostalgic. I am so overwhelmingly impressed with AOPA, I kept asking myself one question: What if? What if I'd have made the trek east to Frederick? Would I now be living in the Maryland 'burbs instead of the Oregon forest? 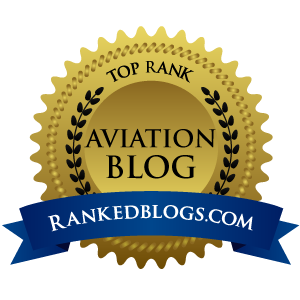 Would I have been able to work with the likes of AOPA PIlot Magazine Editor Thomas Haines and staff photog Mike Fizer, and make great things happen? What contributions to GA could I have made as part of their stellar creative team? Oh well, that dream is now history, and me being me, I'm off and running at full speed on new dreams. We as pilots are lucky as hell to have AOPA. Throughout the night, Boyer gave an eloquent presentation about such heavy subjects as user fees, the FAA’s budget shenanigans, and safety. Phil is a public speaking master, this coming from his years in the television industry. 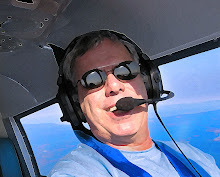 He cleverly mixes important facts with a touch of humor, all delivered with his believable and genuine love of general aviation. Boyer IS one of us. He is not a Washington Beltway insider, but can play that role with great prowess when needed. He knows how to smooze politicians to get in their doors, and when it comes to knowing what needs to be said to help GA, nobody can argue our points better. Phil is backed up by 225 professionals at the AOPA headquarters, all hand-picked because they cherish the same thing we do…our freedom to fly. Oh, what a dream job that would have been, to be able to go to work each day and surround yourself with like-minded souls and be able to immerse yourself in everything related to flying machines and the people who fly them. Before the PTM, I attended a private dinner with Boyer, organized by the Columbia Aviation Association of Aurora, OR. After chow, Boyer stood and gave a rousing, off-the-cuff speech on what is needed to kept GA strong for decades to come. He asked that we not go out and blast it all over the Internet, so I will just say…keep your eyes on AOPA Pilot Magazine this summer…good things are coming your way. It was also very refreshing to listen to my real President, one that knows the “internet” from the “internets”. No bones about it, Boyer is a Godsend to GA. As we tiptoe into this precarious next 18 months leading up to September 30, 2007 when the FAA’s current funding scheme ends, we need to support AOPA as they stand at the front lines of the battle. Bottom line if you are a pilot: Of the 600,000+ certificated pilots in the United States, only 407,000 of us are AOPA members. What’s the deal with that? Do the remaining non-AOPA members realize how SCREWED we’d be without AOPA and Phil Boyer? Now more than ever, we need to get anyone we know who is not an AOPA member to join today.